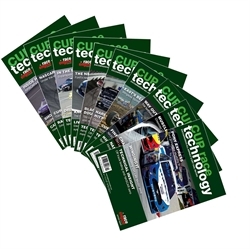 Volumes 1 - 10 of Cup Race Technology delivered immediately. This offer saves you 20% over buying the issues individually! Please click "Details" to see the full contents of each issue. 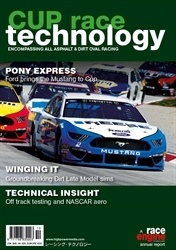 Highlights in this issue include a conversation with Brian Campe and a dossier on 2019 Ford Mustang Development. 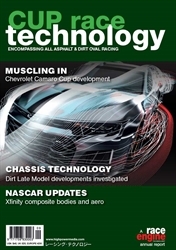 Insights into NASCAR aero as well as simulation and modelling of a dirt late model. We look at the Ginetta G40R Hot Rod and the Acme Racing Super Modified as well as a focus on off-track testing. Click 'Details' for full contents. 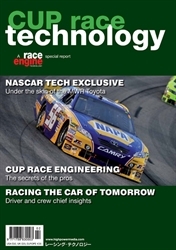 Highlights in this issue include a conversation with NASCAR's former Vice President Gary Nelson and a dossier on the 2018 Chevrolet Camaro ZL1 Cup. Insights into NASCAR R&D 2017, Xfinity composite bodies and Kevin Rumley on Dirt Late Models. A technical review of 2017 as well as a look at Ray Evernham's Ghost and full supplier directory. Click 'Details' for full contents. 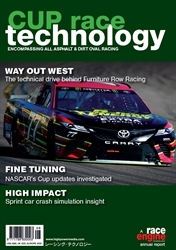 Highlights in this issue include a dossier on Furniture Row Racing, insights into the 2017 Toyota Camry Cup body and Aero NASCAR's, as well as a technical review on NASCAR 2017 and bump stops.Includes a special investigation on sprint car crash simulation. Click 'Details' for full contents. 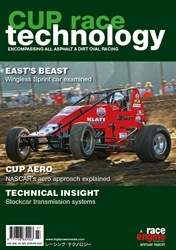 Highlights in this issue include a dossier on Bob East's wingless Sprint car and a technology review. Insights into Joe Gibbs & Driven Racing Oil, road courses and NASCAR aero as well as a focus article covering transmissions. Click 'Details' for full contents. Highlights in this issue include a dossier on the Kyle Busch Motorsport Toyota Tundra and a profile on the Tom Harris Brisca F1. Insights into CFD and driver in the loop simulation as well as focus articles covering off-track testing and fluid systems. Click 'Details' for full contents. 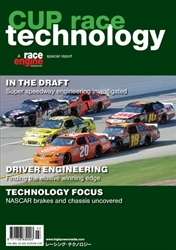 Highlights in this issue include a dossier on the Chevy SS and insights into aero, tires and Dirt Super Late Model. A Focus article covering manufacturing as well as a tech review. Please click 'Details' for full contents. 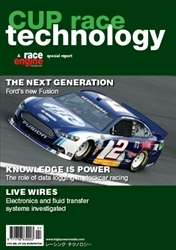 Highlights in this issue include a profile on Roush Fenway Racing Nationwide Ford Mustang and the 2013 Ford Fusion. 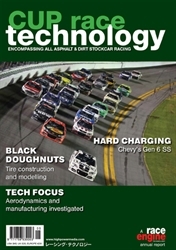 Focus articles covering electronics and fuel supply systems. Please click 'Details' for full contents. 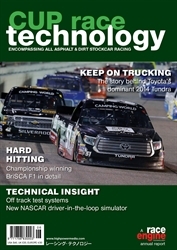 Highlights in this issue include a Profile of Red Horse Racing's Truck, a Special Investigation into Engineering the Driver and Focus articles covering Corners and Brakes. Please click 'Details' for full contents. Highlights in the issue include the Anatomy of the MWR Toyota and Focus articles covering COT Aerodynamics, Engineering the COT and COT Transmission. Please click 'Details' for full contents. 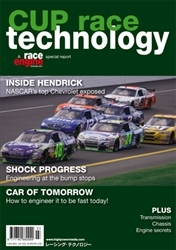 Highlights in the issue include a Profile of the Hendrick Chevrolet, an Insight into Engineering the Toyota COT and Focus articles covering COT Corners and COT Transmission. Please click 'Details' for full contents.